Can Misstatements Cover Up Mismanagement? In his radio address of September 25th Bush reiterated the rosy assessment of the situation in Iraq that he and interim Iraqi Prime Minister Allawi had been proclaiming for the previous week as the Bush administration's mismanagement of the war in Iraq moved to the center of the US presidential campaign. "The enemies of freedom are using suicide bombings, beheadings and other horrific acts to try to block progress," Bush said. "We are sickened by their atrocities, but we will never be intimidated, and freedom is winning." "We're making steady progress." News organizations, experts, and elected officials including several Republican members of congress took issue with Bush and Allawi's assessments, however. Critics cited specific false claims that Bush and Allawi made, and also differed with their overall conclusions. Criticisms of the Bush administration's mismanagement of Iraqi occupation and reconstruction were only the latest from military and political experts, many of whom pointed out unrealistic expectations and lack of planning as long ago as 2002. Bush claimed Iraq's electoral commission has already hired personnel and begun setting election procedures. In his radio address said "United Nations electoral advisers are on the ground in Iraq." According to the House Appropriations Committee staff, of the $232 million allocated to the Iraqi election commission, only $7 million has been spent. Congressional aides told Reuters that preparations were behind schedule. Registration materials, which are supposed to be distributed in October, are incomplete, according to observers, and none of the hundreds of monitors and poll watchers that will be needed are in place. After the bombing of the UN's Baghdad headquarters in August 2003, the organization has been reluctant to send staff back into the battle zone. Total UN staff in Baghdad numbers approximately 35, of whom only 8 are dedicated to working on elections. their tasks." Senator Joseph Biden, the ranking Democrat on the U.S. Senate Foreign Relations Committee, told CNN, "Let me tell you exactly what the story is. They're saying they're trying to train them, yet they have not trained." several months. With the violence likely to intensify in the run-up to the elections, congressional experts expressed skepticism that $9 billion could be spent on reconstruction projects within several months. Speaking to ABC television on Sunday, September 27, Secretary of State Powell seemed to contradict Bush's upbeat view of the situation in Iraq. "Yes, it's getting worse," Powell said "And the reason it's getting worse is that they are determined to disrupt the election.... There will be polling stations that are shot at. There will be insurgents who will still be out there who will try to keep people from voting." General John Abizaid, the top military commander in the region, warned that he could not guarantee that the whole country would be able to vote, saying "we will fight our way through elections." "I can't predict 100 percent that all areas will be available for free, fair and peaceful elections," Abizaid said on NBC's "Meet the Press." "I assume that there will be certain areas of the country that will have to be fought over in order to have the elections take place." Earlier General Abizaid had told Washington, DC reporters that more troops would be needed in Iraq to secure the elections. "...[I]t is our belief that those troops will be Iraqi troops," he said, adding, "I don't foresee a need for more American troops, but we can't discount it." A Pentagon Army officer said that any increase in US troop presence would come from extending the tours of units that already had been in Iraq for a year. With new troops already schedule to arrive, the overlap could increase US troop levels by the tens of thousands without additional official new deployments. The officer told reporters that it was probable that Marines in western Iraq on a seven-month tour would be extended. The Marines have apparently not yet been informed of the possibility, as a Marine spokeswoman said she had not received any notice of such an extension. According the the Washington Post Soviet Georgia is planning to send 800 troops to join the 180 it has already serving in Iraq. A US official to the Post that Fiji and Romania would offer troops, as well, but a Romanian official said she was not aware of such a planned deployment, and the Fijian Embassy did not return the Post's calls. A British classified report prepared for British Prime Minister Tony Blair in March 2002, and reported by the UK Telegraph on September 10, 2004, warned of inadequate US planning for what it called the "end state," i.e post-Saddam Iraq. "Regime change does not stack up. 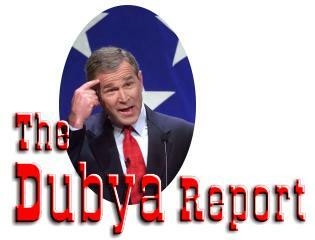 It sounds like a grudge match between Bush and Saddam," the document stated, according to the Telegraph. The memo as reported by the Telegraph characterized the so-called "Crawford summit" in April 2002 as a council of war. Although Blair apparently was instrumental in persuading Bush to delay the invasion, originally planned for Fall 2002, until Spring 2003, Blair left Crawford on April 7, 2002 with no clear idea of what would happen in post-Saddam Iraq. What will this action achieve? There seems to be a larger hole in this than anything. Most of the assessments from the US have assumed regime change as a means of eliminating Iraq's WMD threat. But none has satisfactorily answered how that regime change is to be secured, and how there can be any certainty that the replacement regime will be any better. Iraq has no history of democracy so no-one has this habit. Retired general William E. Odom, who headed the National Security Agency during the Reagan administration, shared many of the concerns expressed in the British memo. In a May 2004 interview with Bernard Gwertzman of the Council on Foreign Relations, Odom called for a US withdrawal from Iraq as soon as possible. It was not in our interest to enter Iraq in the first place. It was, however, in the interest of Osama bin Laden for us to destroy a secular Arab leader; it was very much in the interest of the Iranians because they wanted revenge against Saddam Hussein for Iraq's invasion in 1980. Our presence in Iraq risks turning it into a country that could become the base for terrorist operations and organizations like al Qaeda. Of the three war aims that the president set out-destruction of weapons of mass destruction, overthrowing Saddam's regime, and creating a liberal democracy there-the first has supposedly been accomplished, although it seems to have been accomplished before we invaded; the second, as I just pointed out, was not in our interest, it's more in our opponents' interest; and the third I don't think is possible. Our creating a liberal democracy there is not going to happen any time soon. We're more likely to have an illiberal democracy with theocratic rulers, very much as in Iran. And any Iraqi [leader] who has much legitimacy with the population cannot afford to be pro-Western or pro-United States. Therefore, once U.S. forces leave, it is almost inevitable that an anti-Western, anti-U.S. regime will arise. I don't see that as an outcome that makes sense for the United States. In fact, it struck me when we invaded last year that if we did it without European and East Asian support, we were risking losing our alliance in Europe in exchange for Iraq, and that is a very undesirable exchange. Odom, who held the same view prior to the US invasion, clarified that he did not mean that troops should be precipitously removed from Iraq, but that we should "go to the United Nations Security Council, eat a little humble pie, and point out to the Europeans that what happens in Iraq is as important to them as it is to us, maybe more so, and that we made a mess of it and we would like to have the United Nations endorse some sort of United Nations force there, a stability force." Diplomatically, Odom urged, the US should make it clear that it is headed for withdrawal, "somewhere toward the end of this calendar year, maybe into early next calendar year. Not necessarily setting a specific date. But I would make it unambiguously clear that we are going to withdraw, and if Iraq falls into civil war and if all these unhappy things occur, we're just going to have to accept them." Odom acknowledged that advocating a pull-out during an election campaign might be difficult, but suggested that "... Bush, no matter if he's re-elected or not, will regret it if he doesn't do this." He also urged Democratic challenger John Kerry to "to say something more or less along the lines of what I'm saying, and explain to the American people that we made a big mistake, and if we were a middle-size power it would be devastating for us, but we are such an enormous power that credibility is not much of an issue for us and that over the long run we will establish full credibility by being willing to reverse a strategic error. Kerry should just step up to this thing and face it head on." As for the administration's failure to plan for postwar Iraq, Odom was particular critical. "... [L]iberal institutions don't just take root rapidly in non-Western cultures," he observed. "They did in the case of Japan and, possibly, Taiwan. [Japan is] a special case, and goes back to the  Meiji Restoration. Many people don't know the history of that and don't know that it is very special; it's not a good model for the Middle East." I don't understand how [U.S. decision-makers] believed a liberal democracy could arise from Iraq. There are no clear property rights in Iraq. The whole notion of land property rights in the Arab world is different from that in Europe. Until that's sorted out, creating the political infrastructure, the civil society, is out of the question. How many multi-national or multi-ethnic or multi-religious liberal democracies do we have? Belgium has teetered on the brink of break-up over the Walloons and the Flemish. Canada has trouble with Quebecois. As for Britain's four tribes, one tribe-the Irish-doesn't want to be in it at all; the Scots have gone into devolution as of late; and even the Welsh now have an internal parliament. You and I know what a multi-national state like the Soviet Union experienced with the centrifugal tensions there. Switzerland looks like a great exception. So the idea that you could put Kurds, Shiite Arabs, and Sunni Arabs in a nice, liberal, federal system in Iraq in a short amount of time, six months or a year, boggles the mind. Because Odom sees Osama bin Laden as one of the beneficiaries of the US invasion of Iraq, he doesn't accept the argument that "by staying in, you keep that from being the case." "We're in a situation that economists call "a sunk cost." You don't save [the situation] y putting more money in. We're going to have to live with that. The question is, what price do we pay to live with it? How do we eventually turn it around? We've also nearly broken the U.S. Army by over-extension and over-commitment, which means there's less of it available for Afghanistan and even for al Qaeda in other parts of the world." Odom suggested that extracting ourselves from Iraq will only get more difficult with time. Reconstruction efforts suffered from a lack of planning and were parlayed by security constraints. Iraqis were being excluded them from meaningful participation, and their advice was being ignored. Claims of success were unrealistic. When the team submitted its report to the agency, however, the report was repeatedly returned for revision, and for critical statements to be removed. One member of the team branded the final report a "whitewash." Another told The New Yorker "It’s so political, everything going on out there. They just didn't want to hear any bad news." The problem with "whitewash," wrote The New Yorker's George Packer, "other than the fact that it deceives the public, precludes a serious debate, bitterly divides the body politic when war requires unity, exposes American soldiers to greater risk, substitutes half measures for thoroughgoing efforts, and insures that no one will be held accountable for mistakes that will never be corrected—is that it doesn't work." What matters, argued Packer, is what actually happens in Iraq, and how Iraqis perceive it. Covering up failures, he suggested, can only be temporarily effective, because facts like suicide bombing, erosion of Iraqi confidence, and insurrection will reveal the truth. "War, unlike budget forecasts and campaign coverage, is quite merciless with falsehood," Packer observed. "In refusing to look at Iraq honestly, President Bush has made defeat there more likely." It’s understandable that the war fills [Kerry] with ambivalence. The President’s actions have led the country into a blind alley; there’s no new strategy for Kerry to propose, and the press should stop insisting that he come up with one when the candidate who started the war feels no such obligation. These data both confirm long standing problems in the effort to training and equip the Iraqi security forces, and provide details on critical problems in the security program that have never before been made public. They document an inexcusable level of failure on the part of the US, and particularly the CPA and Department of Defense, in developing effective Iraqi capabilities to establish security in Iraq. While conceding that an argument might exist for the decision to disband the Iraqi military following the US invasion, Cordesman refused to excuse the failure of the US-led coalition to rebuild security forces, and accuses the coalition of trying to restrict the role of Iraqi security forces to that of a glorified border patrol. "The US failed to treat the Iraqis as partners in the counterinsurgency effort for nearly a year, and did not attempt to seriously train and equip Iraqi forces for proactive security and counterinsurgency mission until April 2004 – nearly a year after the fall of Saddam Hussein and two-thirds of a year after a major insurgency problem began to emerge," Cordesman wrote. Cordesman ascribed much of the failure to the US-coalition acting "as if the insurgency was not nationalist in character, and was small and unpopular, and would go away" once coalition forces defeated it without significant Iraqi aid. "...[T]he Administration’s senior spokesmen still seem to live in a fantasyland," Cordesman declared, by understating the size of the insurgent forces, and overstating the extent of foreign participation and links to al Qaeda. Cordesman reported that of 3,800 insurgents captured by the 82nd Airborne in the Sunni triangle area, only 50 were foreign. Suggesting that "[one] of the critical lessons of Vietnam was ignored," Cordesman reported that the US has tried to develop human intelligences (HUMINT) in the region, without utilizing Iraqis for language and area expertise. the start, the CPA was a model of obfuscation, omission, and false imagery in very aspect of its public status reports. For example, the more comprehensive training data on the Iraqi security forces issued by the CPA were deliberately confused by implying that training under the Ba'ath regime, or limited on the job training was adequate. The fact the status reports do even more to disguise the level of true progress is simply unacceptable. No single mission is more important than security, and no Iraqi popular desire is clearer than that this mission be done by Iraqis. The US has been guilty of a gross military, administrative, and moral failure. About the time that Cordesman's report appeared, Bush received a National Intelligence Estimate that outlined a range of possible developments in Iraq that were considerably more pessimistic than the claims the Bush campaign has been making. (An NIE can be requested by the White House or Congress, but this one was apparently initiated by the National Intelligence Council itself -- the body responsible for producing the estimates -- which reports to the CIA.) The most optimistic scenario described a tenuous political, economic, and security situation; the most pessimistic scenario described circumstances that could lead to civil war. Interviewed recently by the Christian Science Monitor, several experts characterized the situation in Iraq as a classic guerilla war. Some identified four simultaneous insurgencies: Sunni tribalists, former Saddam regime loyalists, fighters loyal to anti-US cleric Moqtada al-Sadr, and foreign jihadists. So far, according to Professor Steven Metz of the US Army War College, the disparate groups "haven't made much effort to develop a coherent political program or identify a leadership." But they are united by a common enemy: US forces who they view as occupiers. In a recent issue of the Army journal Parameters, Lt. Col. Robert Cassidy, who served in Iraq, reminded his readers,"... fighting guerrillas doesn't necessarily allow for the best use of the largest, most technologically advanced armed force in human history. Nor does it always address the real basis for defeating an insurgency, which rests more on political, cultural, and economic factors. Other militarily dominant countries have learned this as well." The Lexington Institute's Dr. Loren Thompson, who supported the US invasion of Iraq, identified two key flaws in the US counterinsurgency campaign. "First, policymakers wrongly assume that Sunni Arabs can be induced to join in a democratic government where they are assured of permanent minority status," he says. "Second, policymakers insist on viewing violence through the prism of the war on global terrorism, which obscures the sources of conflict and requirements for victory." The RAND Corporation's Bruce Hoffman, who served briefly as an adviser to the Iraqi Coalition Provisional Authority, told the Monitor that the US failed to plan for an Iraqi resistance that would become an insurgency. This represented "the failure not only to recognize the incipient conditions for insurgency, but also to ignore its nascent manifestations and arrest its growth before it is able to gain initial traction and in turn momentum." The British 2002 memo had warned a year before the US invasion of Iraq that even if a democratic government could be created there, "it would require the US and others to commit to nation-building for many years" and that this would "entail a substantial international security force." The Army War College's Metz believes such an undertaking could take as long as 10 years, with no guarantee of success. His view is shared by John Pike of the group GlobalSecurity.org. "The government must appear to be legitimate, inevitable, and effective at providing security and services," Pike told the Monitor. "As long as Iran does not stir the pot, these objectives could be approached by the end of this decade, with luck." Criticism of the lack of planning for the Iraqi occupation has spread to the ranks of the Republican Party. Sen. Richard Lugar of Indiana, Chairman of the Foreign Relations Committee, said last week "The lack of planning is apparent." Noting that only $1 billion of $18.4 billion allocated by Congress for Iraqi reconstruction has been spent, Sen. Lugar declared on ABC's "This Week" on September 19, "This is the incompetence in the administration." Appearing on CBS's "Face the Nation," Sen. Chuck Hagel of Nebraska, a decorated Vietnam veteran said "he fact is, we're in deep trouble in Iraq ... and I think we're going to have to look at some recalibration of policy." Senator John McCain told "Fox News Sunday" that "We made serious mistakes," citing failure to prevent looting or secure Iraq's borders following the invasion in 2003. Bush, McCain said, had been "perhaps not as straight as maybe we'd like to see." went further than the Republicans, saying "The president has frequently described Iraq as, quote, 'the central front of the war on terror'.... Well by that definition, success in Iraq is a key standard by which to measure the war on terror. And by that measure, I think the war on terror is in trouble." Al Lorentz, NCO Army reservist with nearly twenty years of service now serving as a civil affairs officer in Iraq, wrote last month, "I have come to the conclusion that we cannot win here for a number of reasons. Ideology and idealism will never trump history and reality. " Lorentz's shares the view that the war in Iraq has become a bona fide guerilla war, but suggested that the administration will not identify it as such because of domestic political concerns (i.e. fighting a guerilla war might not be popular with voters). Since the war cannot be correctly characterized, Lorentz suggested, it cannot be fought properly. Whereas in a traditional conflict the military may seek to kill as many of the enemy as possible, in a guerilla war the goal is to undermine the base of the enemy's support. "So long as there is support for the guerilla," Lorentz wrote, "for every one you kill two more rise up to take his place." Moreover, attempting to fight a guerilla with weapons and tactics that create casualties among the civilian population can actually increase support for the guerillas, while undermining your own. Lorentz also wrote that the administration refuses to face the reality of local support for the guerilla movement. "While at one time there may have actually been support and respect from the locals, months of occupation by our regular military forces have turned the formerly friendly into the recently hostile," he wrote. "... [I]t is not politically correct to point out the fact that the locals are not only disliking us more and more, they are growing increasingly ... hostile." Administration officials attempt to explain away Iraqi hostility toward US forces as if it were directed at "a handful of terrorists, criminals and dead enders in their midst" aided and abetted by "left wing media...."
Because the current administration is more concerned with its image than it is with reality, it prefers symbolism to substance: soldiers are dying here and being maimed and crippled for life. It is tragic, indeed criminal that our elected public servants would so willingly sacrifice our nation's prestige and honor as well as the blood and treasure to pursue an agenda that is ahistoric and un-Constitutional. It is all the more ironic that this un-Constitutional mission is being performed by citizen soldiers such as myself who swore an oath to uphold and defend the Constitution of the United States, the same oath that the commander in chief himself has sworn. See also "A Shiite-Sunni Islamist 'high command' may be forming" from The Daily Star, from the Middle East's leading English-language newspaper.